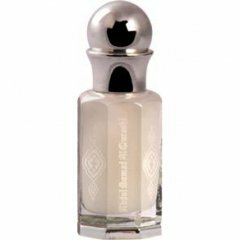 Misk Al'Jism (Body Musk) is a popular perfume by Abdul Samad Al Qurashi for women and men. The release year is unknown. The scent is floral-fresh. The longevity is above-average. It is still in production. Write the first Review for Misk Al'Jism (Body Musk)! Scent of cleanness and freshness. Delicate cloud of fine, soft, slightly sweet musk.